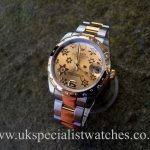 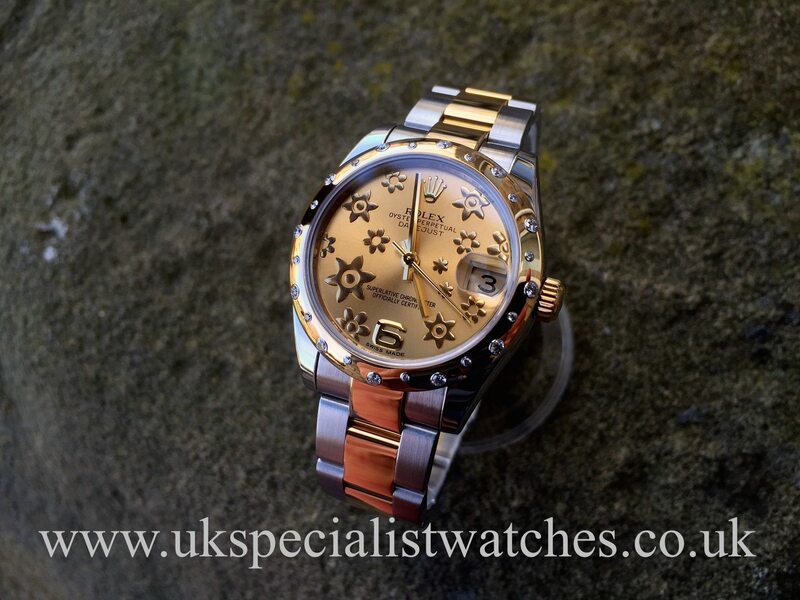 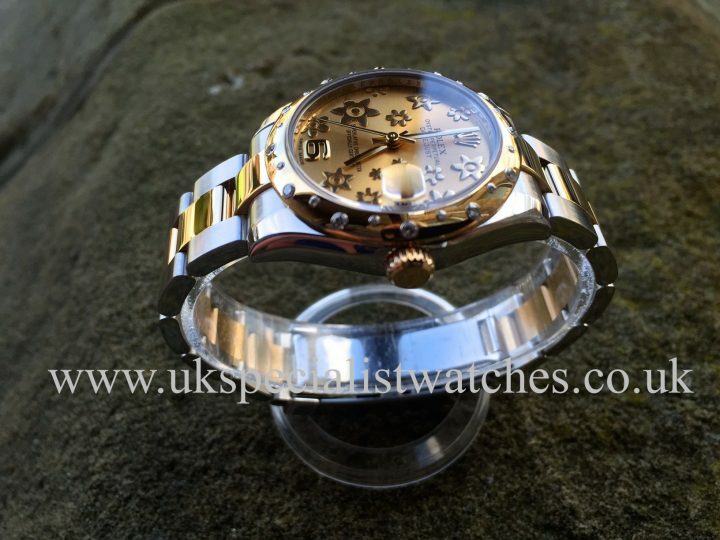 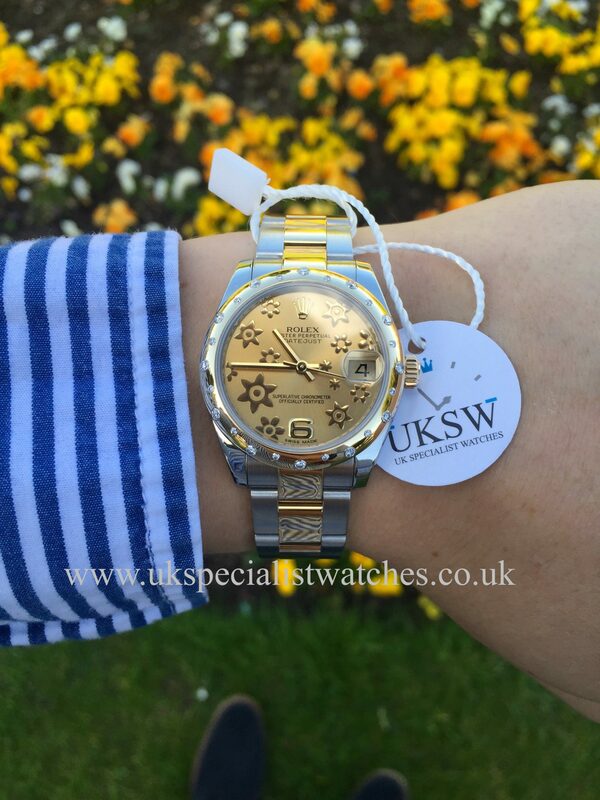 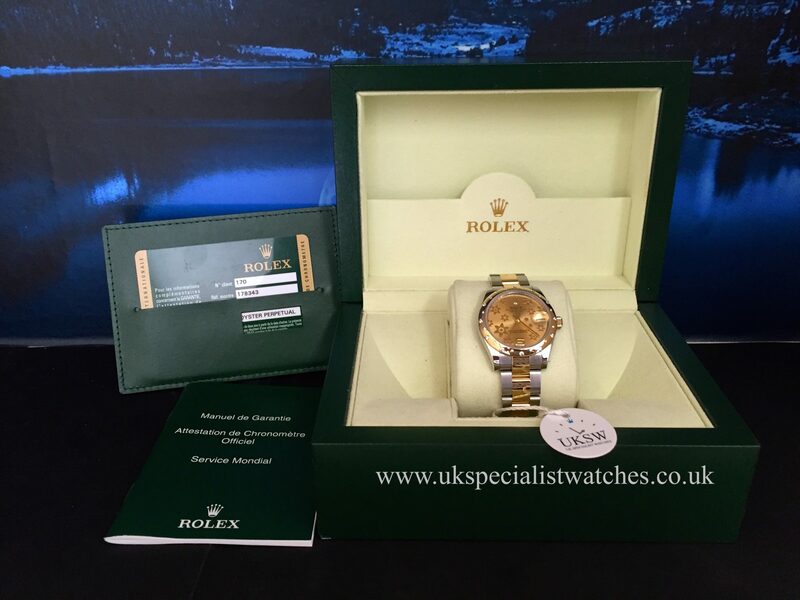 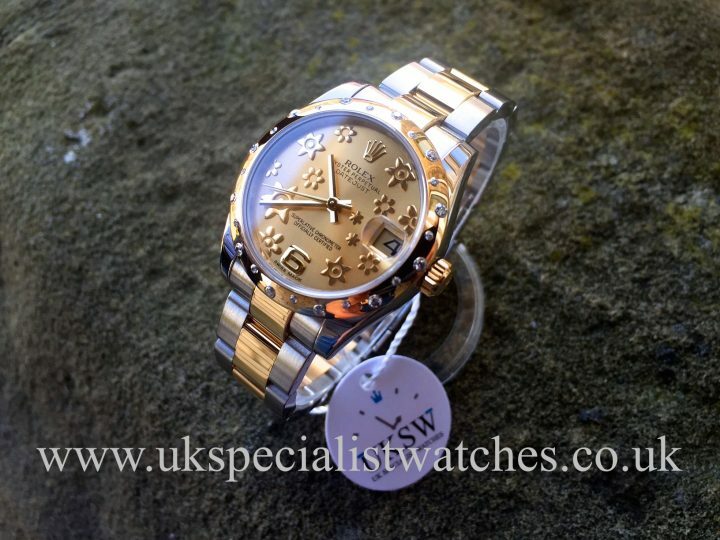 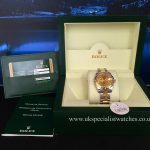 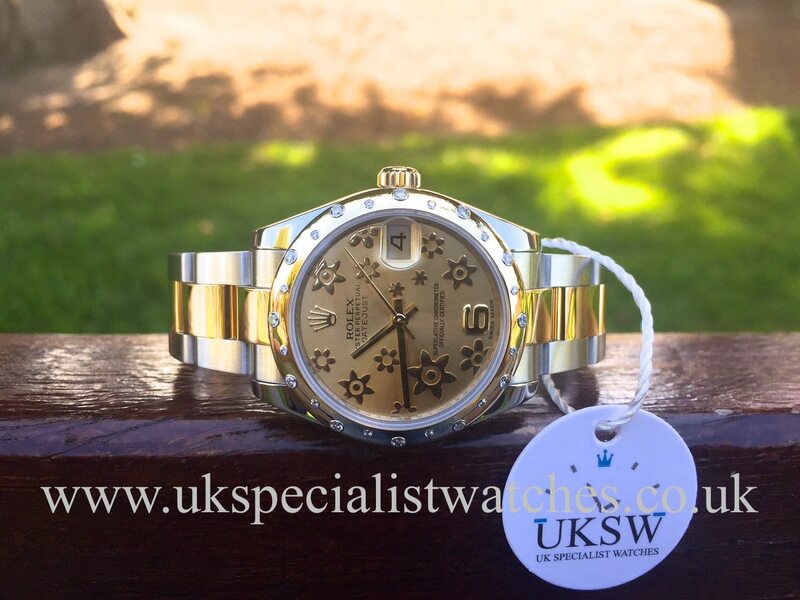 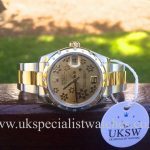 Rolex Datejust Mid-Size 31mm in stainless steel and 18ct gold, complemented with the beautiful champagne floral dial, date displayed at 3 o’clock, 18ct gold smooth bezel set with 24 perfectly matching diamonds with a white gold surround. 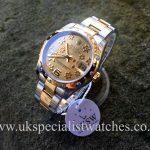 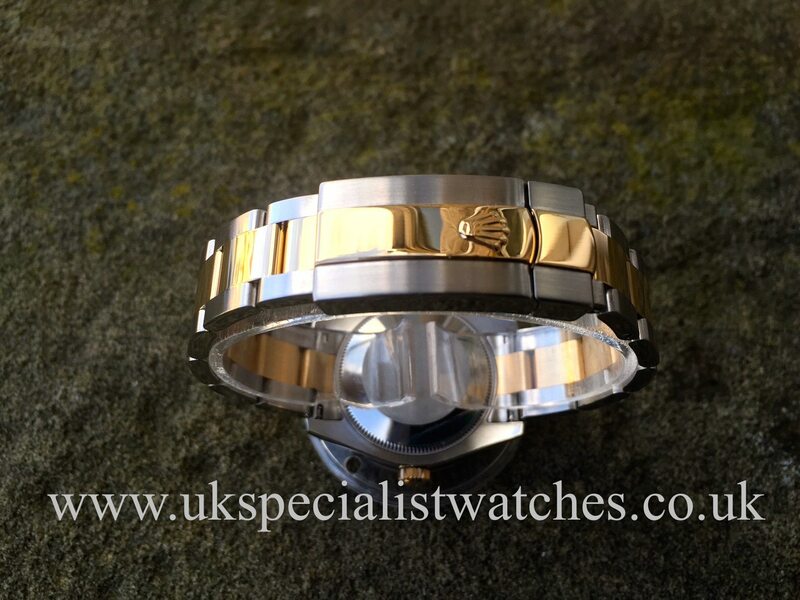 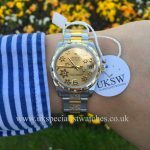 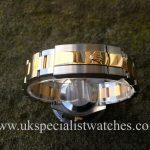 Oyster lock bracelet in stainless steel with solid 18ct gold centre links, double folding clasp with the rapid adjustment feature, water resistant to 100 mts, supplied new in 2012 and comes complete with box and warranty card. 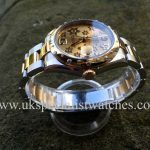 Costs new today over £8,300!